On March 29th, the Health Innovation Initiative hosted the 2019 Health Startup Day. This day connected startups, industry, community organizations, and graduate students with a shared passion for health innovation. Industry and community organizations had the opportunity to meet some of McGill’s emerging scientific leaders, while the graduate students were provided with an introduction to industry approaches for health innovation. The event got kicked off by one of our very own, Renjie Butalid. Renjie hosted a business model canvas workshop, which presented the graduate students with the idea of a strategic management and lean startup template for developing new or documenting existing business models. He explained how it is a visual chart with elements describing a firm’s or product’s value proposition, infrastructure, customers, and finances, and how the formation of this canvas plays a vital role in a business’s development. Francois Bilodeau is the Business Development Director of Mitacs; a not-for-profit national research organization that, in partnerships with Canadian academia, private industry and government, operates research and training programs in fields related to industrial and social innovation. Francois gave the graduate students insight into the different programs they offered, such as Accelerate, Elevate and Globalink. Justin Lessard-Wajcer is a 21 years young individual who has made big strides in the area of science and entrepreneurship. He was invited by the Canadian government to represent the country at the World Science Conference in Jerusalem. He is a Research Associate in Psychiatry and Head of Imaging Innovation at the prestigious Dr. Kieffer Lab at the Douglas Institute of Mental Health at McGill. In addition to his studies and research, he began his own business, Clarity Tech Lab – a company designed to democratize innovative technologies in neuroscience to increase the effectiveness of medical research. He also founded the first journal dedicated to mental health, Neuropresse, to reduce the terrible stigma of mental health in our universities and society. His philanthropic contribution is also marked by his involvement in organizations such as The Montreal Children’s Hospital, The Canadian Hereditary Cancer Foundation, and Youth Science Canada. During the event he spoke about his journey, and key values he obtained along the way. Jeremi Lavoie is a Cofounder and the CEO of Arctic Fox AI, a company that uses AI-powered radiology tools for the diagnosis of neurodegenerative diseases, beginning with Alzheimer’s and related dementias. They allow clinicians & scientists to use the full potential of brain MRIs by extracting data that would be invisible to the human eye. Complementary partnerships are a key ingredient in running a successful company. Market research comes 1st and the tech comes 2nd. It is important to get continuous feedback to evolve the company. Some days you’ll need to think irrationally and take a leap of faith. Clarity Gerbrandt is the VP in Strategic Partnerships of Carebook Technologies, a company that uses the science of preventative health and the art of human engagement to empower individuals and engage organizations in a commitment to wellness. Clarity started off as the Creative Director for Disney’s Club Penguin, the world’s largest online virtual world for kids. Now, in her current position, she uses her skills to build rich experiences that help empower people to take a more active and proactive role in their personal health. Adapt – Adapt to culture, adapt to the process at hand and adapt your purpose. Bridge – Bridge together your theories, the tests you’ve carried out and eventually the solutions. Care – Care about the value you add, and the impact you have on the people around you. Distill – Distill your company into a simple idea which demonstrates its purpose. Francis Arseneau is the Head of Operations at Innodem Neurosciences, a Montreal-based company building AI-driven eye-tracking technology for use in healthcare. Sonia Israel is a Co-founder of Aifred Health, a Montreal-based health-tech startup that uses AI to help physicians make better treatment decisions in mental healthcare. Laila Benameur is a Co-founder of Impactful Health R&D, a start-up that develops active packaging solutions to prolong the shelf life of fresh fish. Justin Lessard-Wajcer – Mentioned above. Clarity Gerbrandt – Mentioned above. Olivia Novac – See more below. Tatiana Ruiz is the Lab-to-World Entrepreneurship Course TA and Translational PhD stream coordinator at McGill University. Olivia Novac is the Associate Director of Technology Transfer at McGill University. She is responsible for the knowledge and technology transfer activities associated to innovation and inventions at McGill. This includes the assessment and management of the IP, including filing and prosecution of patent applications, as well as the identification of inventions, maturation of the technologies, and valourization through licensing or spinoff creation. Bobbi Bidochka is a Research Officer at the Department of Pharmacology & Therapeutics at McGill University. Furthermore she is the Founder of EATScience, an initiative that unites food and cocktails with science, to deliver the message of the amazing research happening right now out McGill University, in the most dynamic and immersive setting Montreal has to offer. Jesse Ehrlick is an Academic Associate within Biomedical Engineering at McGill University and is responsible for launching a new Master’s program within the Biomedical Engineering department. Andrew Dixon holds a M.D, C.M degree from McGill University. He is the CHASM Operations Executive; CHASM is an incubator that scales up community health and social ventures to help some of the city’s most marginalized residents. Their program takes the most innovative aspects of start-up culture and blends them into a practical, project-based model, where they nurture the ideas of community-based ventures and connect them to business and nonprofit leaders. Matthew Dickinson is a member of the Investment Team of Front Row Ventures, a company that is the first student-run venture capital fund entirely managed by students in Canada. Launched in September 2017 in partnership with Real Ventures, Front Row Ventures will invest 600,000$ over the next four years in 24 student startups. To find out about more events like this one, follow the Health Innovative Initiative so you don’t miss out! Besides spending 2 years as Program Officer at the Bill & Melinda Gates Foundation, Thomas Park also has over a decade of experience on the ground working on nonprofits and international development initiatives. This includes piecing together a data project that Melinda Gates quoted during her TED Talk on contraception. He now spends most of his time as VP of Corporate Strategy & Initiatives at BDC Capital. What follows is his step-by-step advice when putting together a fundraising strategy for your nonprofit. Before ever stepping through the door to a fundraising meeting, you have some homework to do: understand what they want, and how they operate. There are different buckets of money: government grants, philanthropy, and corporate sponsorships. For corporate sponsors, your project has to line up with what the corporations are looking to achieve – and that’s changing too. Once you understand the other party’s motivations and business model, the next step is to build a track record. No government, philanthropy, or corporation wants to throw money away. They want to know that they’re investing it into a competent team that has reliably shown that they can make an impact. To build that track record and raise money, you might need some money. But after getting a taste of a bootstrapped social enterprise, many entrepreneurs worry that getting sponsorship means they’re “selling out.” This type of thinking can prevent you from scaling your impact. First of all, nonprofits aren’t saints. Park points out. One reason for this is the incentive structure at many nonprofits: top performers often don’t or can’t get rewarded properly for their impact. The downstream effect of this is that sometimes nonprofits attracts the wrong kinds of people – people who are focused on a zero-sum game of status. In other words, they’re competing over slices of the pie instead of working together to make the pie bigger. Second, big businesses sometimes get an unnecessarily bad reputation. And sometimes, rightfully so – some large corporations have proven to do questionable things with your data, for example. But you should channel your anxiety about partnering with the wrong business into doing your homework to figure out which corporations are a good fit for you. Find the handful of companies that are genuinely excited by the prospect of having an impact in the domain that your project operates in, and disregard the rest. One example of a university-attached initiative is McGill’s Policy and Data Science Summer program (PODS), which Park co-founded with Professor Derek Ruths and Professor Nicholas King. BDC Capital is the lead sponsor on the program. So you’ve done your homework on the donor, you’ve bootstrapped your way to some traction, you’ve convinced yourself that outside funding is a useful tool, and you’ve attached yourself to an organization that makes it easy for donors to write you a cheque. You still have to walk through the door into the meeting, and take a long-term view of your relationship with your donors. The biggest mistake founders make in meetings: “Not listening”, says Park. Coachability is an important character attribute in founders when donors make funding decisions about a company. If they think that their feedback will go unnoticed, it becomes a riskier decision. It’s also a sign that you won’t be able to learn quickly and adapt. Instead, adopt a collaborative mindset when walking into these meetings. Your stakeholders want to help you, and they have experience that you can learn from. Instead of spending your energy defending your ideas to the death, take notes on their feedback and consider integrating some of them – even if it’s just to show that you value their opinion. The other mistake that founders make is a longer term one – they frame their exchange with the sponsor as a transaction rather than a relationship. “It’s the ‘gimme gimme gimme mentality’”, points out Park. Instead, update your stakeholders regularly with your progress. To make this easier, find or build an email template that you can re-use, and schedule time to write it on the same day every month. And don’t forget to give your stakeholders “homework”, whether that’s an introduction, or advice on a problem that’s come up. You’re on the same team and they want to help you: by sponsoring you, they now have skin in the game – if you succeed, they succeed. Understand the different buckets of money, the motives of those organizations, and see how you can align yourself with their mission. Bootstrap your way to early traction – people want to fund successful projects that have proven they can make an impact. Raising external funding is a powerful way of scaling your impact. Attaching yourself to a university reduces the friction for organizations that want to give you money. Adopt a collaborative attitude in meetings with stakeholders, and update them regularly with your progress – you’re on the same team so treat it like a relationship. The McGill Dobson Cup powered by National Bank has grown and changed significantly since 2009. In November 2018, the National Bank took the bold and generous step when they donated $4-million to the McGill Dobson Centre for Entrepreneurship to support the McGill Dobson Cup. The MasterCard Foundation followed suit and generously contributed 3 prizes totalling $23,000 to support Social Enterprise development amongst Mastercard Foundation Scholars-led teams in this year’s startup competition. Overall, this has enabled our team at McGill Dobson Centre for Entrepreneurship to fund a total of 18 McGill startups with early stage funding, amounting to over $200,000. We have also been able to organize a series of over 15 workshops and events this past academic year designed to help the startups prepare for the 11th edition of the McGill Dobson Cup. This is only the beginning as seed funding is only the first step. In the lead up to announcing the winners, for this year’s startup competition, we had 108 teams compete in the Semi-Finals with the top 40 teams competing in the Finals on March 27, 2019. Congratulations to this year’s ambitious teams and a sincere thank you to all teams who participated in this year’s McGill Dobson Cup. Choosing the winners for each Track (Health Sciences, Social Enterprise, Small & Medium Enterprise, and Innovation Driven Enterprise) and all the additional prizes, was not an easy task. Many thanks to all the Semi-Finals and Finals Judges and Mentors, partners, Student Executive Team members, and everyone involved who contributed towards making this year’s McGill Dobson Cup 2019 a resounding success! Teams that are at a later stage, should consider applying to the upcoming McGill X-1 Accelerator program this summer (Applications are now open). For those who are still exploring the early stages of their idea, the McGill Lean Startup Program in the Fall is a must! We wish all teams the best of luck in the next stage of their development. We’re building a $1,000 portable brain imaging scanner for point-of-care diagnosis in ambulances, field hospitals, sports teams, and patient rooms. Observe Agriculture is a Montreal-based AgriTech startup founded by students from McGill University. Our first product is a modular crop quality sensor. UsToo.Care anonymously and securely matches survivors of sexual violence based on aggressor or location. Survivors can collaboratively work with legal representation or police investigators, and access mental health professionals. Water is not the source of life, it is life. At Safe Kasupe Ltd, we provide affordable clean water to eradicate negative social and health consequences of using unclean water. 3.D.E is an additive manufacturing company that focuses on applying 3D printing technology to address challenges of affordability, availability, and accessibility of prosthetics and educational model kits in low resource settings in Zimbabwe. Poor sanitation is a major setback to development. Yonja is here to provide the missing link between waste management service delivery companies and households for efficient, affordable and quality services. We are developing the next-generation of protein-based blood tests. Our platform promises to unlock unprecedented efficiencies in drug development, biomarker discovery, and ultimately, precision medicine. Gynoteck is a leading innovator in medical diagnostics, preventative, and treatment methods for women’s health. We aim to personalize medicine as every woman is different. LFANT is a company dedicated to the development of safe, reliable, and readily available commercial kits for the self-administered detection of STIs in the interest of public health and awareness. Turbodega is a software management tool that builds a network of small grocers in emerging countries and tracks their daily-sales in real time to provide them: 1) lower cost of goods, 2) access to fair working capital lines of credit, and 3) data-backed business advice. PDT Food Depot redistributes surplus food from food producers to communities and organizations in need. B3D Performance Inc.: B3D Performance specializes in additive manufacturing (3D printing) using metal powders. We develop instrumentation to monitor the powder quality to reduce production costs and minimize the impact on the environment. CHK PLZ is a mobile payment application that streamlines the billing process at bars and restaurants, allowing customers to split items and pay the bill directly from their smartphone. ShuttleControl is a Software-as-a-Service designed to revolutionize the way courtesy shuttle services are offered around the world. We offer an all-in-one solution to increase customer satisfaction and make shuttle operations easy. Yuma is a service that offers meal plans at your work. When you need personalized meals delivered to your workplace at the best price, Yuma doesn’t take it as a joke. First Mark creates software for film sets to run digitally, safely, and with less effort, so that production teams focus on what matters – making great films, series, commercials, and shows. Chatler Technologies Inc: Chatler is on a mission to innovate the way we interact and buy from businesses on mobile devices. Using chatbot technology, Chatler brings the conversation into mobile commerce. Cannafish aims to work with fish farmers, valorizing their waste using a unique bioreactor technology and worms to produce a biological hydroponic solution to grow a wide variety of crops. Many thanks to all the Semi-Finals and Finals judges who played an important role in screening all 108 startup teams in the Semi-Finals, picking our top 40 Finalists, and choosing the winners in this year’s McGill Dobson Cup 2019 powered by National Bank. Editor’s Note: Soula Chronopoulos is the president of Ellicom. Before that, she held strategic positions in national and international organizations in addition to founding two companies, one of which PROFIT magazine ranked 54th among the top 200 “Fastest Growing Technology Companies.” She also participated as a McGill Dobson Cup judge in 2019, in the semi-finals of the Health Sciences Track. In this article, our SET Ambassador Michaela Deneva interviews Soula about her entrepreneurial path and processes. Both my parents were entrepreneurs – from a young age I saw them building their businesses and going through the rough times. I’d say it’s part of my DNA. Although I didn’t know it at the time – while working in the med education sector, I got tired of listening to directions and embracing red tape. The bureaucracy and the stifling atmosphere pushed me further down into a box until I felt I had something to say. That stirred me to launch my own company. I firmly believed in what I was doing – I had a passion and drive to succeed. Obstacles let you down, but you should look at it as a pathway. Believe in what you’re doing and don’t give up! What do you enjoy most about being an entrepreneur? What’s hardest about it? The best thing – innovation! Watching customers light up when I show them something they’ve never seen before. The hardest thing – being challenged by everyone in a room full of naysayers. To stay afloat you have got to love that challenge! With that said, overcoming this psychological barrier is not easy. I’d say psychology is one of the biggest hurdles in entrepreneurship, not the finances and not building your product. Opportunities come with hard work – learn how to be your biggest cheerleader! Entrepreneurship is not for the faint of heart! What have you taken from your student/ college experience to your startup career? McGill gave me a great start on the long and exciting path of entrepreneurial research; how to find that “nugget” and come out of the rabbit hole. Researchers are innovators by nature. They are a big driving force – they listen and connect the dots. My mantra is to always look at everything as an opportunity. As a woman in tech I’ve learnt this the hard way – some wonder how I got to be a VP in a men’s industry. Despite the sexism which I’ve encountered, I was lucky to have managers who believed in my ideas. People propelled me. I always try to argue with myself on my ideas – something I’ve learnt from my mom. Her perseverance is very inspirational to me: she came here without speaking French or English, and managed to build a business and a reputation despite it all. Do you have any systems or axioms for decision-making, learning, and execution? Do your homework – you have got to be curious. Take the time to do some reading – investigate and learn. Sometimes situations aren’t the way they appear at first – read, read, read! Participate in what people are saying – cut through the marketing and ask questions. Everyone is just as vulnerable as you are – nobody has all the answers. I have done a lot of research in Alzheimer’s, specifically on one little protein which only manifests itself when you’ve incurred an injury. What I’m trying to say with this is that you shouldn’t look for the obvious but rather things that require “digging”. Soula Chronopoulos (left) was a McGill Dobson Cup judge in 2019, in the semi-finals of the Health Sciences Track. Where do novice entrepreneurs waste the most time? Many teams have a great idea with significant potential but what is going to make you unique is your ability to convince someone to invest money in it. One question I usually ask while mentoring at the Dobson Cup is: How big is your audience? Look for ideas that are going to make a difference in a population or an entire market. Speak with passion to convince people to invest – to me a good pitch is 50% the product and 50% the person. Investors choose to invest their money in the person who’s pitching them – it is up to you to convince them to believe in you. As the President of Ellicom, what problem are you trying to solve? What are you most excited about at work right now? The 70-20-10 hypothesis is based on a survey that asked 200 executives to reflect on how they believed they learned. myself in the places where they don’t even realize they’re learning and help them learn the same things as they would on a piece of paper. We strive to create an incredible experience – through emerging technologies, we aim to make learners effective and productive while having fun at the same time. Never follow! It’s a common concern who your competition is. I personally prefer not to know. If you look at history and the market, you need vision and guts to know where you’re going. Question everything and always try to innovate and come up with new ways. Fearlessness is key – don’t be afraid to fail. Try everything, test it all – one of the 10 things that work may include the one that would be the big hit! Never let your entrepreneurial instinct subside; entrepreneurs at heart make the world go around, not the people that follow. It is not easy to build a startup, you are creating something from nothing. From finessing your business plan, building your MVP, scaling with minimal means, attempting to raise funding: starting a business is not easy. Being a women founder does not make it easier, in many ways, the venture and startup ecosystem is still a boys’ club. However, with a strong support system, access to resources and mentorship, women-run startups have proven to produce more revenue. According to a recent study conducted by Boston Consulting Group and MassChallenge, a US-based global network of accelerators, startups founded or cofounded by women performed better than male-founded startups over time. Despite being comparatively underfunded—and by a large margin—these businesses generated 10% more in cumulative revenue over a five-year period: $730,000, compared with $662,000 for the average male-led startup. To mark and celebrate, International Women’s Day (March 8), we asked some of the most successful Dobson women founders to share their best advice for women seeking to launch their own venture. Being a woman entrepreneur is a challenge but if you really believe in your company’s potential to have a major impact or contribution to the society, you can overcome it! The beginning is always hard and unpredictable, so my best advice is to surround yourself with people with more experience than you that can help you to find the best path to the success. Do not get intimidated to pitch in a room full of men! You know your technology more than anyone else, be confident and always listen and learn from successful entrepreneurs! Accept criticisms and recommendations and is the only way to improve your company and yourself as entrepreneur! If I would have to tell one advice to my colleagues women founders, it would be to trust yourself. Entrepreneurship is a learning journey and it is fine not to know everything. If you believe in your project, go out there, get surrounded by persons who share your vision and be persistant. You get what you give. As an entrepreneur, you hold yourself accountable and are solely responsible for everything you do. It’s normal to not stay motivated 100% of the time. BUT, remind yourself that the more you do, the more you will get. Maya Angelou once said, “Nothing will work until you do”. I can choose to sit for three hours scrolling through social media, wondering why I am progressing so slow, or, I can spend the same three hours making cold calls and hit a potential partner. Commit to a single, clearly defined vision. Defining what you are going to do is just as important as what you aren’t going to be doing (yet). A common mistake first-time founders make is that they try to invest in optionality (e.g. we are offering features A, B and C to see what resonates). It’s instinctive to cast a wide net when uncertain, however, this approach will drain your resources. It’s much more efficient to double down on single, clear vision (we are starting with feature A) and edit or pivot that vision as you get more feedback until you reach product-market fit. Shoot for the stars, land on the moon. Shoot for the moon, land on the ground. The idea is to always strive for more. I was always told to be hungry, look for that extra 20% and don’t be afraid of taking calculated risks to get there. While you may not always make it to the stars you’ll usually end up ahead of where you planned to be. The ball is almost always in your court. If you want something, make it happen. Assert yourself and don’t worry too much about appearing aggressive or audacious – these are generally favorable features in entrepreneurs anyway. I’ve noticed many women will prematurely negotiate against themselves in fear of offending another party. I think historical gender norms have pushed self-moderation and shyness as a positive female trait – but that’s just not good for business. Do not try to fit the typical founder’s persona. Maybe you aren’t 20, maybe you have kids, maybe you need to pay your bills and can’t take a big financial risk by launching full-force into your venture with no back-up plan. Adapt your start-up to your reality. This will ensure that your journey will be steady and solid, and protect you from burning out. Every person is different; they have a strength. Highlight that and use it to benefit the world. Ultimately, entrepreneurship is a leap of faith. In the wise words of Isabel Galiana, CEO of Saccade Analytics: Do not back down, trust your gut, get it done and be true to yourself. We have come a long way ladies, and while there is a lot more to be done in order to achieve gender equality; we are certainly heading in the right direction. After 4 consecutive days of pitches in the Semi-Finals of the McGill Dobson Cup 2019 powered by National Bank, we’re excited to announce the 40 startup teams moving on to the FINALS on March 27, 2019. Last week from February 19 to 22, 108 McGill teams pitched their startups to 48 judges who had the task of choosing the top ten Finalists for each Track: Health Sciences, Social Enterprise, Small & Medium Enterprise, and Innovation Driven Enterprise. Over $200,000 in seed funding will be awarded to the winners of the McGill Dobson Cup 2019 from each track on April 4, 2019 at our Awards Ceremony. Given the nature of the startup competition, we recognize that it is quite likely that some of the teams not moving on to the Finals of the McGill Dobson Cup 2019 will go on to create successful companies. For some of the teams that are at a later stage, you may want to consider applying to the upcoming McGill X-1 Accelerator program this summer (Applications open on April 4, 2019). For those who are still exploring the early stages of their idea, the McGill Lean Startup Program in the Fall is also an option. We wish all teams the best of luck in the next stage of the McGill Dobson Cup 2019! 1. Axon: We’re building a $1000 portable brain imaging scanner for point-of-care diagnosis in ambulances, field hospitals, sports teams, and patient rooms. 2. BetaSense: We are a dynamic team that aims to tackle invasive problems in nuclear medicine and give them a Non-Invasive solution to enable personalized medicine in a greater number of clinics. 3. C-Marker: C-Marker is a composite disclosing agent that was developed at Professor Tamimi’s lab at the Faculty of Dentistry, McGill University. C-Marker is a new material that will help dentists identify the margins of white fillings and facilitate their complete removal without removing sound tooth structure. 4. Denovogen: Denovogen is a biomedical technology company focused on the design and commercialization of innovative medical devices. Our first product aims to improve communication and visualization in the surgical theatre. 5. Gynoteck: Gynoteck is a leading innovator in medical diagnostics, preventative, and treatment methods for women’s health. We aim to personalize medicine as every woman is different. 6. LFANT: LFANT is a company dedicated to the development of safe, reliable, and readily available commercial kits for the self-administered detection of STIs in the interest of public health and awareness. 7. MicroPredictome: MicroPredictome aims to create licensable AI algorithms to predict the risk of different gastrointestinal diseases based on sequencing data from the bacterial population of the human gut. 8. nplex biosciences: We are developing the next-generation of protein-based blood tests. Our platform promises to unlock unprecedented efficiencies in drug development, biomarker discovery, and ultimately, precision medicine. 9. Tracheo-Sure: Tracheo-Sure aims to revolutionize endotracheal intubation for airway management by creating a surgical device to improve speed, efficiency, and patient safety while reducing overall healthcare cost and improving medical education. 10. VitalTracer Ltd.: VitalTracer is a medical smartwatch that measures all vital signs continuously, including cuffless blood pressure. Our mission is to provide quality solutions that accurately capture vital signs to keep users alert and aware of their health at all times. Our solutions will revolutionize the relationship between patients and caregivers by creating an easy and accurate way to track, record and share all measured parameters. 11. Avantage Emploi: Avantage Emploi will address higher than average refugee and asylum seeker unemployment as well as Quebec’s severe labour shortage by matching these newcomers with employers and providing the necessary support. 12. B3D Performance Inc.: B3D Performance specializes in additive manufacturing (3D printing) using metal powders. We develop instrumentation to monitor the powder quality to reduce production costs and minimize the impact on the environment. 14. Ma MobiClinique: Ma MobiClinique will be the first mobile and smart paediatric care unit in Montreal, Quebec, offering primary and secondary care to children. 15. Mini-Cycle: Mini-Cycle knows the value of durable and ethically made clothing. We sell new and preloved kids clothes and guarantee to buy it all back, thereby creating a closed-loop circular economy. 16. PDT Food Depot: PDT Food Depot redistributes surplus food from food producers to communities and organizations in need. 17. Rebicycle: Rebicycle is a social enterprise that sells custom upcycled bicycles. Through the sale of Rebicycles, we provide refugees with affordable transport and sustainability-oriented start-ups a venue for their promotion. 18. Turbodega: Turbodega is a software management tool that builds a network of small grocers in emerging countries and tracks their daily-sales in real time to provide them: 1) lower cost of goods, 2) access to fair working capital lines of credit, and 3) data-backed business advice. 19. UsToo: UsToo.Care anonymously and securely matches survivors of sexual violence based on aggressor or location. Survivors can collaboratively work with legal representation or police investigators, and access mental health professionals. 20. Yonja: Poor sanitation is a major setback to development. Yonja is here to provide the missing link between waste management service delivery companies and households for efficient, affordable and quality services. 21. 2ndHelp: Transport newly purchased second hand items hassle-free. 22. CHK PLZ: CHK PLZ is a mobile payment application that streamlines the billing process at bars and restaurants, allowing customers to split items and pay the bill directly from their smartphone. 23. GEEK-it: We are an online community platform and a geek culture convention dedicated to bring local communities to the web. Our core service is to enable unique retailers and artists to showcase their products to the public online and offline. 24. Mache: Mache is an innovative catering company that provides corporate events with food from local restaurants and producers, offering a unique service to guests and organizers. 25. Out of the Box: For parents, who are eager to bring their children’s development to full potential, the “Out of the Box” is a set of 14 scientifically designed, interchangeable, early development toys. 26. ShuttleControl: ShuttleControl is a Software-as-a-Service designed to revolutionize the way courtesy shuttle services are offered around the world. We offer an all-in-one solution to increase customer satisfaction and make shuttle operations easy. 27. Storage Fellows: Storage Fellows offers affordable and bespoke full-service storage for students, including pick-up and drop-off, by leveraging volume-based pricing and a student workforce. 28. Underwear Worker: Traditional job hunting is pooped. Work is now everywhere, anywhere, especially in one’s underwear. Join this remote movement. Become hired by the best. Find your worldwide calling. 29. Vins Prose: Vins Prose plans to develop, import, package and market a range of canned wines for distribution in Quebec grocery and convenience stores. 30. Yuma: Yuma is a service that offers meal plans at your work. When you need personalized meals delivered to your workplace at the best price, Yuma doesn’t take it as a joke. 31. Cannafish: Cannafish aims to work with fish farmers, valorizing their waste using a unique bioreactor technology and worms to produce a biological hydroponic solution to grow a wide variety of crops. 32. Chatler Technologies Inc: Chatler is on a mission to innovate the way we interact and buy from businesses on mobile devices. Using chatbot technology, Chatler brings the conversation into mobile commerce. 33. ChitoDry: ChitoDry makes novel biodegradable environmentally compatible materials from crustacean waste, creating with Nature in mind for a better tomorrow. 34. Dispersa: Dispersa focuses on developing novel technology that harnesses the power of oil-degrading bacteria to present an efficient, 100% biodegradable, and low-cost solution to address oil contamination. 35. First Mark: First Mark creates software for film sets to run digitally, safely, and with less effort, so that production teams focus on what matters – making great films, series, commercials, and shows. 36. Galdun Green: Galdun Greens’ initial target market will consist primarily of dairy farmers within the Quebec region. The health condition of cattle, and the other factors which influence either dairy production or growth, are usually assessed visually by farmers. Major issues with this approach is that they’re relatively subjective process, and the efficiency of keeping tracking of a large herd is difficult. 37. Interius Farms: Offering a solution to stabilize volatile Canadian produce prices and make the Canadian food system more sustainable, Interius Farms uses novel vertical farming techniques to grow on-site with clients year-round. 38. Lightbeans Technologies inc.: Lightbeans Technologies Inc. (“Lightbeans”) is a Quebec City-based tech startup specialized in the field of 3D product visualization. Through its advanced technologies, Lightbeans allows manufacturers, distributors, retailers, designers, and architects to present their products or projects remotely on the web, in augmented and virtual reality, with an enhanced level of realism. 40. SCBY: At SCBY, we are the catalyst promoting Change Champions for sustainability by manufacturing and supplying a cruelty-free leather alternative. Many thanks to all the Semi-Finals judges who played an important role in screening all 108 startup teams and picking our top 40 Finalists! Editor’s Note: While there’s no secret formula to success in life, there are a few common elements and attributes from a financial point of view to predict the likelihood of a successful start-up. This presentation, presented by National Bank, focuses on helping start-ups improving your chances of getting the appropriate funding goals for your specific needs and giving you tips to increase your start-up net value. This is an event recap by Khánh Hà Lê (Ambassador – Student Exec Team), and she’ll walk you through a clear summary of what to keep in mind as you raise money for your startup. The first important thing is to define your business model. You can do this by answering questions in regards to all sides of your company such as service/product offered, competition, and team. Having a clear business model is a tool you should refer to throughout your strategic planning process because if you are an expert in your field and your business, investors will be more interested in you than someone who just has an interesting idea. Take customer service for example: If your company is reaching clients by phone, investors will ask what you would do if you cannot reach them. If you are starting a business with no reference, investors will see about the kind of plan you have, your financial model, and your assumptions. To evaluate the value of your company, you should know the value of the current market, or at leasts similar markets. It is common to have a different estimation of your company and market from the investors. After having a detailed business model, you should start the process of forecasting, to transfer your idea into money. It is always more complicated to forecast with start-ups than with established businesses. To better forecast your business, you need to know the value of your market. Of course, it is good to target the world, but it is better to establish a primary target to aim for and how to reach them. Then, you must know your resources such as your capital, the kind of team you want to build, your potential barriers and how to overcome them. Most importantly, at the end of the day, investors care about at what rate they can get their money back. This brings us to the topic of growth. Growing fast is a double edge sword because the more money your business makes, the more expenses you will have. Forecasting will be extremely beneficial when you reach this stage of massive growth. Forecasting expenses and spotting potential issues ahead of time is as important as forecasting revenues because there are always expenses you have not thought about. You should also pay attention to your cash flow to make sure you stay afloat with the right amount of equity and debt and have enough cash coming in to manage and pay for expenses and suppliers. As a matter of fact, most of the time, when you borrow money for your business to grow, banks would ask for equity instead of debt and your financial statement. There are 3 forms of financial statements: notice to reader, review and audit. For start-ups, reader is all you need. This financial statement has three sections: income statement, balance sheet and cash flow statement. The income statement (revenues, expenses, taxes, etc) will give investors a good idea of how well your business is doing. It is coming to operate on deficits in the first few stages as you are growing, and you need the money to grow. The second section, balance sheet, indicates what you have versus what you owe. Ideally, of course, what you have must be more than what you owe. If it is now, you may need to see what can be liquidated to cash within 12 months. Lastly, cashflow statement, the most underestimated part of a financial statement, explains the ins and outs of cash within our operation. After you have established all points above, let’s look into your options to raise money, capital, available to you. One crucial concept in raising capital is cost of capital, which is the money or the financing the company uses to fund its operations and purchase assets. If you have a sizable asset, bankers will go for a smaller line of credit. If you’re going for loans and buying equipment, they will go for collateral for debt financing. Early stage companies rarely have sizable assets to present as a collateral for debt financing, so equity financing becomes a viable option. Financing capital also depend on your business’ lifecycle. The first and most popular stage of a business cycle is the valley of death wherein you pitch money in by micro financing, love money, and personal money. After that, in the development stage you start to generate revenues. This is where you can start to find incubators, angels, grants, and subsidies. In the growth stage, bigger funds, provided by bank loans, venture capitalists, are needed to invest in the business operation. The most common instrument to raise money in venture capitalist and angel communities in seed and pre-seed stages are SAFE notes and convertible notes. When you meet with investors, make sure to be be familiar with the lingo – start here. If you’re not comfortable with venture capital now, you can start off by looking at programs like Futurpreneur, Program Jeunes Promoteurs, PME Montreal, Investissement QC, Fondation Montreal, Crowdfunding, National Bank, Business Development Bank of Canada. The good thing is that all these companies/programs can be combined and you can apply for all those. For a complete list, you can go to National Bank’s directory of resources. If you are a technology company, you should also look up the provincial and federal government for tax credits for scientific research and experimental development costs. Thinking better rates and amortization automatically means a better deal – instead, find a good bank and investors. Searching for financing when it’s too late or when you’re in trouble: at some points you will have to decline clients because there’s no way for you to keep up with the obligations. Being under-prepared when meeting with investors and creditors: You have to educate investors on your market, which involves having a deep understanding of it yourself. Not maintaining personal finances: having a personal good credit score and savings gives you more bargaining power in deals. Editor’s Note: This is an event recap by Caroline Veilleux-Foppiano from last week’s workshop on how to pitch your startup. She’ll walk you through a clear summary of what the Dos and Don’ts are when it comes to pitching, including examples. If you want the slides from the event, go here. If you want Guillaume’s checklist for pitches, go here. This week Guillaume Racine held a pitching workshop for the semi-finalist Dobson Cup teams. Guillaume is the co-founder of Return Magic, a startup providing return software to ecommerce merchants, which has been bought by Shopify. He is also an angel investor, allowing him to share knowledge from both sides of the entrepreneurship world. For this workshop he shared the does and don’ts of pitching and his insights on the importance of the Q&A period. Be a line and not a dot: Build a relationship with an investor before asking for something: let them know who you are and your idea. Early on, Return Magic compiled a list of possible investors and emailed them a monthly update, including their accomplishments and progress. This allowed investors to see their evolution over time, which they appreciated – and it showed that they were actually improving. Do your research: Know your investor so that you can cater your pitch to them. Love the game: You must be fully present and engaged with the process of developing your startup. Showing genuine passion and confidence for your project, will help you. Roll with the punches: Rejections can be hard to deal with, but every pitch is a battle. You won’t win every time, but you must keep your composure and keep improving. Mind the timing: There are many things you can’t control, like when you will find the perfect co-founder. But you can control when you choose to go to market or when to ask for something. By waiting you allow yourself to tell the best story of you and your startup. Wait for your story be tight and have the metrics to back you up. Show your magic: Lead with what has made you successful and special. Maybe it’s your team, or your large achievements using a small amount of resources. Eat, sleep, repeat: Repeat your pitch 40 to 50 times before you present, it should be second nature which will allow you to read the room and focus on the audience. Don’t have all the answers: You don’t need to have an answer for every question. Never make up an answer, just say you don’t know but will follow up. Do follow up: After a pitch, follow up and thank your audience for their time and answer a question they had that you might not have been able to answer. Showing your hustle and persistence by sharing progress and how you are working with their feedback, is how you make an impression. This period is more important than most think, since it’s when the judges will make their decisions. A long answer will waste time that could be used answering more questions. So, when answering the questions be very straight to the point. You can achieve this by thinking of a headline for your answer and using that. Allowing the judges to inquire more if they would like and showing you have clear thinking around your idea. If your pitch is good, the judges will be curious to learn more and will try to poke holes in your idea. If you can stay strong during the questions, it will show the strength of your startup. To prepare for this, find someone to listen to your pitch and play devil’s advocate. Have them ask harsh and tough questions so you are ready for them. Guillaume shared his experiences from being both an entrepreneur and an angel investor to the workshop which allowed for a great learning experience for everyone attending the workshop. The last thing he shared was to bring who you are and be yourself during your pitch. It will shine through and speak to your audience. The 11th edition of the McGill Dobson Centre for Entrepreneurship’s annual flagship startup competition – the McGill Dobson Cup powered by National Bank, will feature a new prize totaling an amount of $23,000: the Mastercard Foundation-Dobson Startup Awards, focusing on Social Enterprise. The Mastercard Foundation (MCF) Scholars Program at McGill is proud to be a new partner of the Dobson Cup competition. We are excited to award 3 prizes to scholars who will present social entrepreneurship projects that will contribute to improving lives of others.” – Pauline L’Écuyer, McGill’s Director of International Student Services and The MasterCard Foundation Scholars Program. 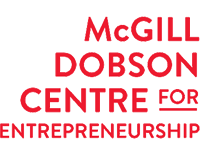 Established under the Mastercard Foundation Scholars Program at McGill University, the MCF-Dobson Startup Awards supports ventures competing in the Social Enterprise track of the McGill Dobson Cup. The awards will be offered to viable, sustainable, and scalable social ventures and community projects that create economic opportunities for others. Valued at a total of $23,000, this award will be given to three deserving teams competing in this year’s startup competition, who demonstrate innovative ideas in the areas of social entrepreneurship. The award will be divided as follows: First prize at $15,000, Second prize at $5,000 and third prize at $3,000. To be eligible for the MCF-Dobson Startup Awards in the McGill Dobson Cup, at least one team member must have an affiliation with the Mastercard Foundation Scholars Program (i.e. current Scholar or MCF Alumni). Since 2006, the Mastercard Foundation has been tackling poverty reduction, youth employment to help build a better future in the world’s youngest continent: Africa. Beyond the funding, exposure, and mentorship from world-class entrepreneurs, industry experts, and thought leaders that startup teams will receive, this is a truly invaluable experience to grow their businesses. We are proud to work with the Mastercard Foundation Scholars Program at McGill University to power the next generation of social entrepreneurs.” – Renjie Butalid, Associate Director of the McGill Dobson Centre, and battle-tested social entrepreneur. The Mastercard Foundation-Dobson Startup Awards in this year’s McGill Dobson Cup 2019 powered by National Bank is part of a series of additional prizes in this year’s startup competition, including the McGill EngInE Prize ($5,000) sponsored by the McGill Faculty of Engineering, and the Food and Agribusiness Convergent Innovation Prize ($5,000) sponsored by the McGill Faculty of Agricultural and Environmental Sciences (FAES), the McGill Centre for the Convergence of Health and Economics (MCCHE), and Trussbridge. Editor’s Note: This is an event recap by Michaela Deneva from an event we hosted in collaboration with Le Wagon earlier this school year. She’ll walk you through the basics you need to understand about coding your own landing page, including sample code and screenshots. Qu’est-ce que Le Wagon? Le Wagon is a coding school..for entrepreneurs! Their mission? Bringing technical skills to creative people. ⦁ Interested in starting your own startup? ⦁ Thinking of changing your career? If you answered YES to either of those questions, then the 9-week coding program offered by Le Wagon might be THE challenge to embrace! What’s in it for you? A unique opportunity to create a product, code it from just an idea and pitch two weeks later. During a 2-hour workshop, Victor from Le Wagon introduced us to the basics of HTML and CSS, and showed us just how fun it can be to code your own landing page. The online presence of a startup is an essential marketing and advertising tool. When it comes to creating your landing page – the face of your business and the first page customers are exposed to on your website – it is important to employ the 4 C’s: Clear value proposition. Clean design. Call-to-Action. CRM first milestone. Not all of those are necessarily achieved through coding. There’s a variety of tools that business owners can use instead, such as LaunchRock, Strikingly, Squarespace, Unbounce, etc. In fact, it is difficult to code a landing page for many different platforms and ensure the same quality for each. For example, a tablet vs a laptop version. In terms of setup, Google Chrome and Sublime are the recommended basics to build your page from scratch. We have all experienced it ourselves or at least heard of the way AirBnB operates, and more specifically its website. There is a series of pictures with info underneath and customers can select the desired picture which hyperlinks to an accommodation listing. This “hyperlink” option is also called a div. The div & box model is just what it sounds like: an image with a margin in a bordered box. The box itself can be designed differently. The border can be solid, dashed or dotted. The shadow can be in different pixels or blue. And where do we get the perfect pictures from? We don’t want .png or .jpg files. We need a font of icons which we can easily find at Fontawesome. Enjoyed reading about the basics of designing your own landing page? For detailed steps on how to start coding your own, please visit Le Wagon’s GitHub. If you wish to go even further, check out Le Wagon Montreal! Happy coding, everyone, and remember..no structure equals no design! Everybody likes good food. Not everybody has access to it. And not all good food is good for the planet, or the people preparing it. That’s why McGill MBA alum Natasha Alani and chef Aaron Fetherston started Kiffin. They’re on a mission to make real food accessible to real people. And they’re doing it while running an operation that’s sustainable and ethical every step of the way. This heroic journey spans across several chapters. It involves moving from San Francisco to Montreal, a building burning down, and an ominous letter As you read between the lines and see the pattern of Kiffin getting up every time they fall, you’ll see there’s more to it than a series of hardships. It’s a story of resilience and renewal. Like a phoenix rising from the ashes of its predecessor, Kiffin has gotten up every time it has fallen. And not only did they get up, they got stronger. Editor’s Note: Our writer Grayce Zhu sat down with Ben Attal (Co-Founder, COO) from Nimbus Tutoring to understand their vision, their challenges, and their story. The Nimbus Tutoring app is dedicated to delivering the most convenient way for students to connect with the best tutors for in-person, course specific lessons at the university level. If you’re interested in being or hiring a tutor, get Nimbus on the App Store or Google Play. Nimbus is focused on connectivity and accessibility in student tutoring. In a lot of ways, it’s something that’s been difficult or expensive to get. We saw the value of a peer support system backed up by technology. We can also provide students who are willing to work during the year with a job that fits around their university schedule. When you think of a student job, it’s working as a cashier or a waiter and those are great but they’re not necessarily the most intellectually stimulating. They’re definitely a burden on your life because you can’t just easily schedule and reschedule. Nimbus provides a unique opportunity for students to find work that is interesting and less overwhelming. Why did you decide to join Nimbus? I heard about it through one of my friends, Abdul, the CMO of Nimbus. Abdul is one of those people who always has a million projects going on. We had worked together before but this project just stood out to me. This is something that’s missing in the world and something that I think I can have a really positive impact on. At that point, I was looking for something to be interested in outside of school. I’ve always had stimulating jobs in the summer but that fulfillment you get from working on something interesting and enjoyable everyday is missing in the school year. I heard about this opportunity so I simply signed up. What was your role when you first joined the company? doing tons of class announcements and handing out fliers. I was fulfilling the most basic functions. Luckily, I soon developed a good relationship with Will. We work really well together. With more responsibilities, I was promoted to the position that I am in now. How do you balance your studies with your work at Nimbus? I’m studying mathematics at McGill. I have six courses left in total. I’m trying to balance school and work but honestly, the balance is skewed in one direction right now. I don’t do much for school. It’s pretty much Nimbus all the time, but I can’t complain. I really enjoy it. What has been the most difficult challenge in getting Nimbus off the ground? In the beginning, the most difficult challenge is building credibility. When you first talk to people about this app, they think it’s cool but not something that is professional enough for them to want to pay for and use. We spent a lot of time going out and talking to people, people who would be our first customers. We explained the research and the work we put in. This is not something we’re just doing for fun. It’s useful. It was difficult because we had to put in a lot of our own time and effort into this first step, but it’s not something that we would look back on and call a tough time. It was exciting. What is the most difficult challenge in running Nimbus? What’s difficult, especially in technology startups, is balancing the different timelines of the different sectors of the company. From an operations or marketing perspective, it’s best to let people know what we’re doing as soon as possible but at the same time, we have to take into account that building an app takes a long time. For example, we launched a new version of the app this year that was fully reworked over the summer. We anticipated completion in August, but that got pushed to September, then October, then to the end of October. We had made decisions in planning based on the initial expected completion date of the app but the plans weren’t possible because the new version of the app wasn’t working to the extent that it was expected to. It’s difficult to keep marketing teams motivated without a product to market. We’re still figuring that out right now. What we’ve done to keep people motivated is to focus on the fact that, at the end of the day, we’re not worried. We’re not worried that we’re a little behind on what we projected in revenue. The solution is not to panic. We’re going to get there. We do everything we can to prepare for when everything is ready. We do things that, although off from the original timeline, will definitely help for the future. Never tell yourself that just because things don’t go according to plan, that it can’t be done. It’s about just doing things that are always helping, always building, always moving forward. This is something we thought about a lot. One of the guest speakers from the McGill X-1 accelerator over the summer was telling the story of how he built his company. His name is Rubin Gruber, one of McGill’s most successful alumni. He said that your most important job as an early startup is to make sure that you are hiring great people. We have a recruitment process where everyone currently in the company in a decision-making capacity has to approve every new hire. Instead of making a decision after one interview, we will have three or four interviews. Sometimes even after a long discussion, three of us will say yes and one will say no. In those cases, we don’t move forward with the candidate. It’s important to have everyone on the same page. There are so many amazing people out there and so many of those people are looking for this type of position. If you are patient, you will find the right person. Everything is relative to scale. We can’t worry about a one-week delay right now if it’s someone we’ll be working with for, hopefully, three years or more. You don’t want to make the wrong decision long-term based on a short-term goal. Ben Attal (COO) and William Liu (CEO) of Nimbus Tutoring, pitching at McGill’s Boston Demo Day. I think the people that ask the most questions are people who we want to work with the most. We don’t know everything. They don’t know everything. If we keep asking questions, that’s how we best move forward. It’s important not to micromanage and it’s important not to overwhelm someone with too many jobs. I’ve found that it’s best to clearly define the goal we have as a company, how we’re planning to reach those goals, and the minimum requirements we expect. This way, people are thinking for themselves. Right now, I’m excited for people to see the new version of the app that our development team put thousands of hours of work into. Moving forward, I’m excited about being in a period where we have teams everywhere who we can trust to do the work we want. We are able to go back to when our only focus is to be creative and think big. The most rewarding part of being in a startup is when there are just three of you around a white board talking about a specific issue and how to plan for it over the course of the next year. I’m excited to figure out what our real next steps are. What are the next steps for the company? We’re thinking about how we’re going to bring Nimbus to different levels of education. Right now, it’s a peer-to-peer platform for universities but middle schools, high schools, and CEGEPs also need tutoring. For those levels of education, there isn’t yet a reliable means to find tutors at affordable prices. Being able to cater to the whole range of education is something we’re really looking forward to. Tune Into Dragon’s Den tomorrow to see McGill’s own reMIXed!